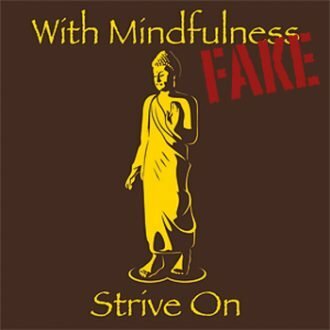 Sakka asked the Buddha: “Do different religious teachers head for the same goal or practice the same disciplines or aspire to the same thing?” “No, Sakka, they do not. And why? 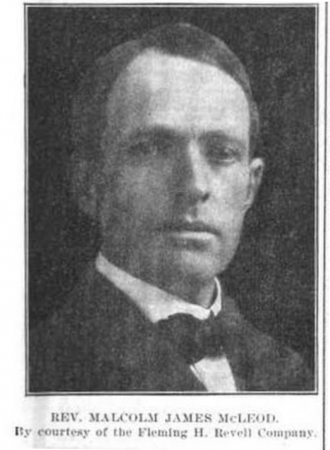 This world is made up of myriad different states of being, and people adhere to one or another of these states and become tenaciously possessive of them, saying, ‘This alone is true, everything else is false.’ It is like a territory that they believe is theirs. So all religious teachers do not teach the same goal or the same discipline, nor do they aspire to the same thing. But if you find truth in any religion or philosophy, then accept that truth without prejudice. 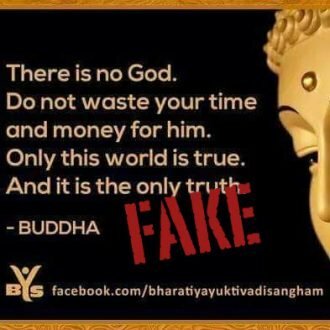 Sakka is a god, and the Buddha is often portrayed as having conversations with deities in which he gives them spiritual instruction or sometimes (notably in the case of Brahma) shows them up as being pompous blowhards. 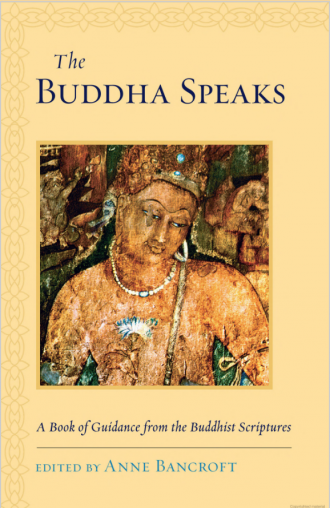 And this particular English rendition is from Anne Bancroft’s “The Buddha Speaks.” This is not the American actress, but an English Buddhist who was, many years ago, part of the same order I was ordained into in 1993. She’s now very elderly, but the last I heard of her she was still going strong. 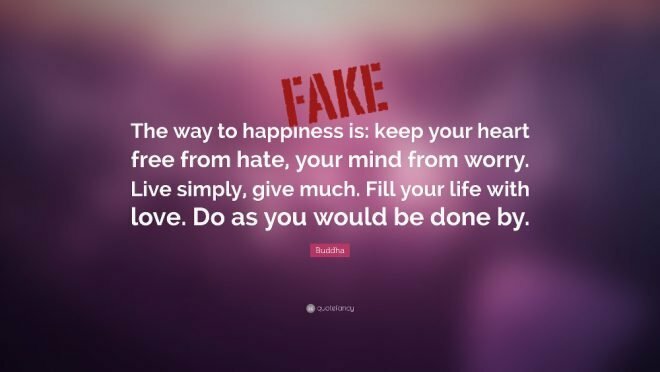 She didn’t ever study Pali to the best of my knowledge, and produced a version of the Dhammapada that is really very inaccurate, and that created at least one Fake Buddha Quote. The whole phenomenon of getting people who don’t know a language to do “translations” is very odd. It’s the sentence at the end of the long quote above that’s the problem. It’s just not in the sutta! I assume that Bancroft added it herself, although it’s conceivable someone else did and she merely copied it. As far as I’m aware there’s nothing corresponding to “But if you find truth in any religion or philosophy, then accept that truth without prejudice” in the scriptures. If you’ve seen it, please let me know. Those who teach a Dhamma [teaching] for the abandoning of passion, for the abandoning of aversion, for the abandoning of delusion — their Dhamma is well-taught. Those who have practiced for the abandoning of passion, for the abandoning of aversion, for the abandoning of delusion — they have practiced well in this world. 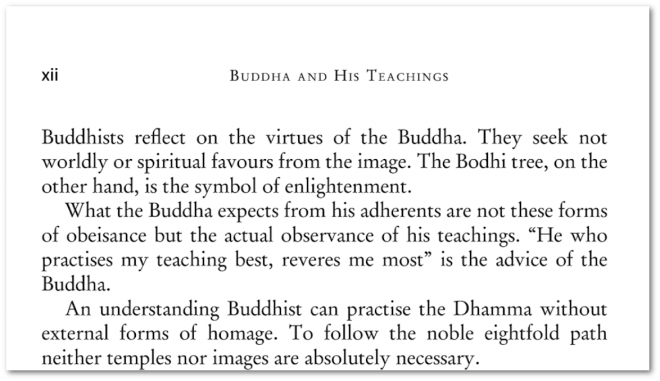 So the quote in question is aligned with the Buddha’s teaching but since it doesn’t appear to be something he’s recorded as having said, it would be best not to refer to it as being one of his sayings. Incidentally, you might have noticed, as you compared the three versions of the Sakkapañha Sutta above, that there’s nothing in Sujato or Thanissaro’s versions that corresponds to “It is like a territory that they believe is theirs.” That seems to be another interpolation. 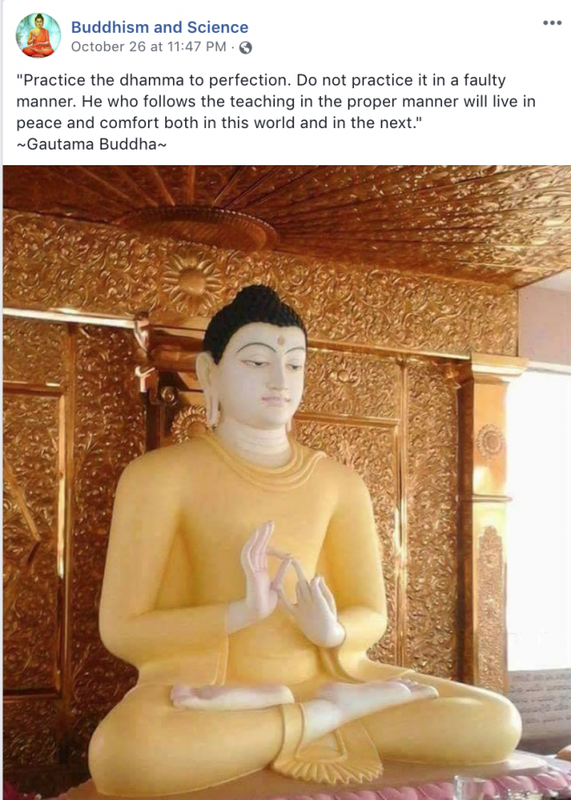 Practice the dhamma to perfection. Do not practice it in a faulty manner. He who follows the teaching in the proper manner will live in peace and comfort both in this world and in the next. My correspondent was suspicious of the “next life” reference, but that’s actually fine. In fact there wasn’t anything that flagged this one up as being “off” for me. 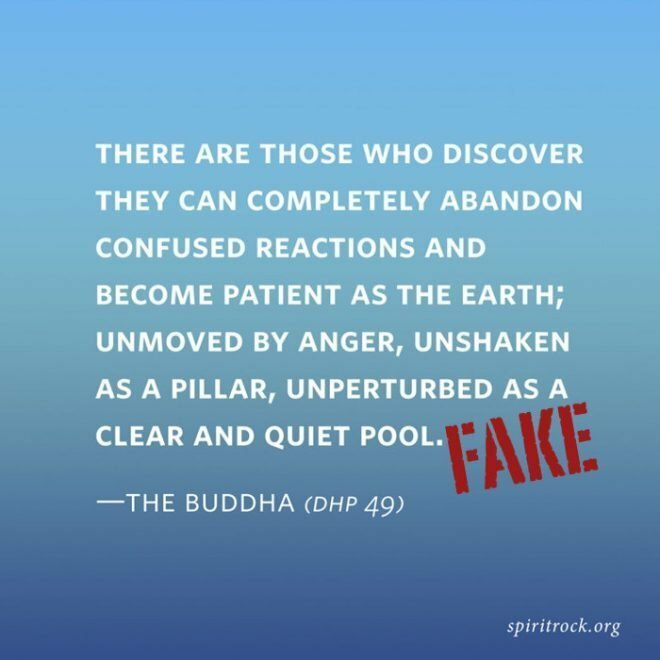 I can well imagine the Buddha of the Pali scriptures using these words. 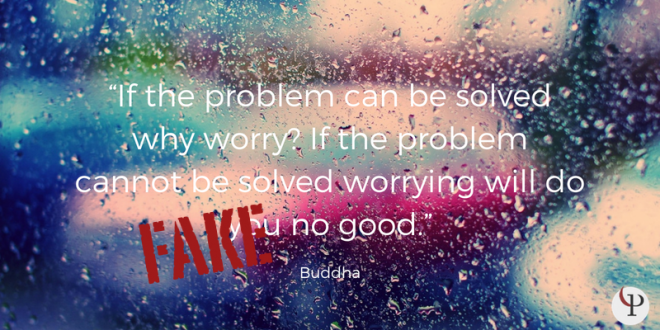 It turns out, though, that these are not quite the Buddha’s words. I feel like I’m being a pedantic killjoy in pointing this out, but this quote is actually from a modern paraphrase of a scriptural verse, and isn’t itself canonical. It’s from “Treasury Of Truth: Illustrated Dhammapada” by Weragoda Sārada Mahā Thēro, page 717. The paraphrase is fine. No harm done. But it’s not entirely genuine either. I’m just keeping the record straight for anyone who’s interested in being strictly accurate. 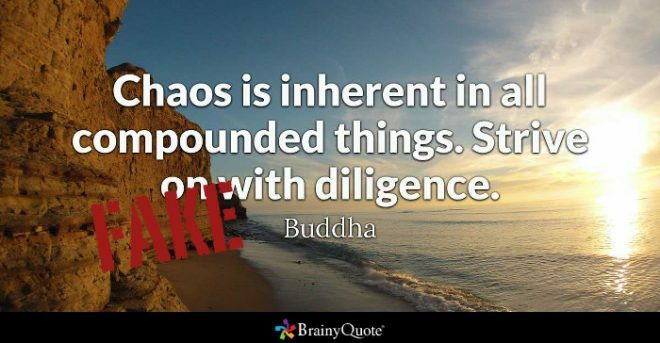 Weragoda Sārada Mahā Thēro deserves the credit for this quote rather than the Buddha.